Cameras like the Canon 7D are special. The photographer can decide on-the-fly whether to shoot Camera Raw images or HD video. But, what if you need both? Photoshop will allow you to open the 7D’s MOV files in order to extract a single image from the movie. 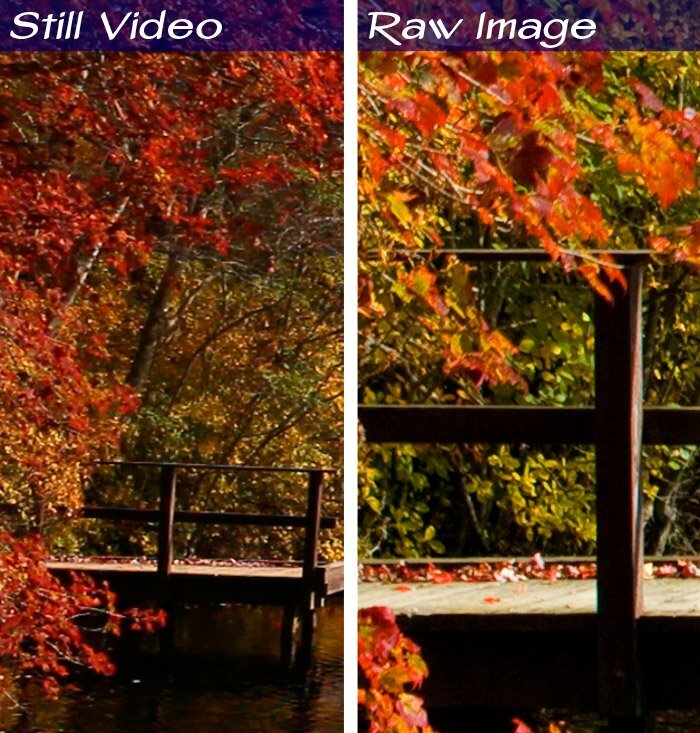 Image resolution: A still from a HD video will be 1920 x 1080. A Camera Raw file will be 5184 x 3456. That’s a big difference. Image detail: The greater image size will also yield greater detail. Compression: MPEG video is a compressed format. You can not get around that. Camera Raw is uncompressed Raw data. Take a look at the 100% crops of both images side-by-side. So, always plan on shooting a few Camera Raw stills. Even if you only use them as reference images, it is better to have them than to wish you took them. ← Previous Previous post: Is HD Video crashing your Windows Media Player? Darn it. I guess this is why we should probably wait for that 60d/70d right? (If you’d like to create quality images from video). Or maybe even the 1DsMk4 & 5dMk4. Thanks so much for this post. Even the Mark 4 will not improve a video still size. If you are shooting video at 1080P, that means the set pixel image size is 1920 pixels x 1080 pixels. 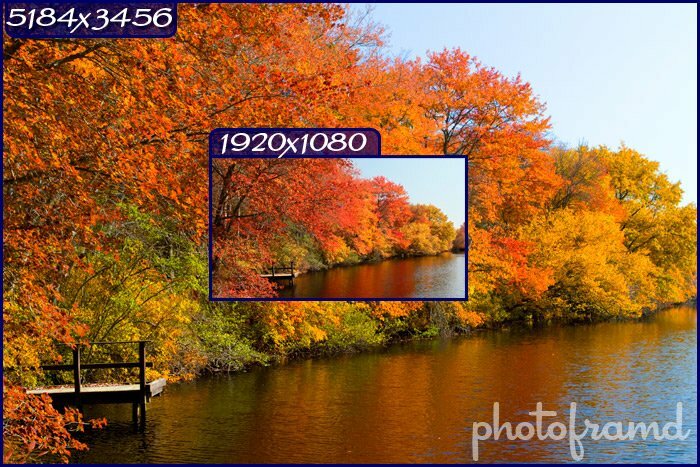 The image quality will be great for that intended image size & resolution. But, if you want a large image for print, you need to flip the switch and shoot a still photo. The 7D does allow you to shoot a still in the middle of shooting video by clicking the shutter button. However, this will cause a break in the video and a 1-second pause while the camera flips modes.